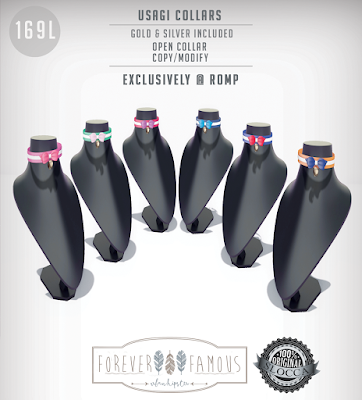 Forever Famous: Forever Famous @ Romp! 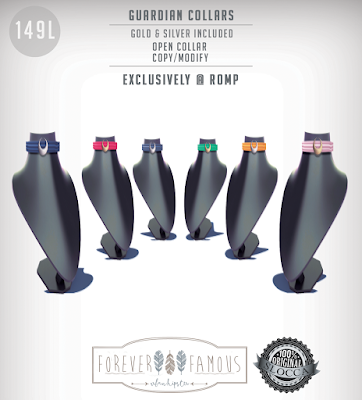 We are really excited about this Round of Romp; It's the Second Anniversary! 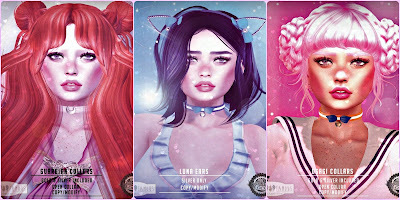 We have the Guardian & Usagi Collars, as well as Luna Ears. These are great for Kawaii & Cosplay looks, and the collars come with Open Collar enabled!